Every bride is different and whether you’re after smokey eyes, bold lips or glowing skin on your big day, we at Blow LTD take such pride in creating each and every bridal look. But a request we’re getting more and more is for natural wedding make-up. 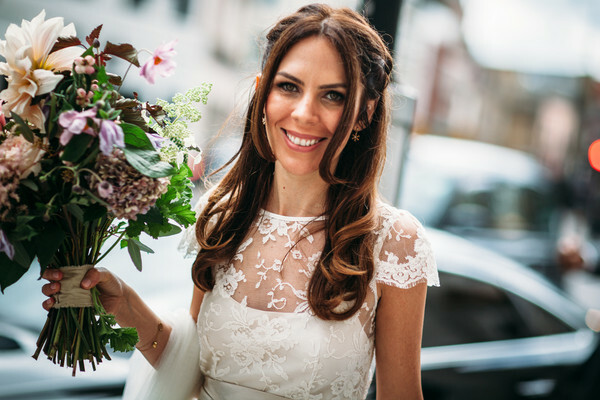 Our expert make-up artists know the importance of the wedding photos and so to avoid the dreaded flashback in photographs they avoid products with a high SPF, silica content or mineral make-up which can all cause the infamous “ghost face”. Even if you’re opting for a natural look you still want to look flawless, so to achieve a skin like finish use a light to medium foundation and apply a product with heavier coverage on any areas that might need the extra help. Layering is also key to long lasting make-up; for instance lightly applying a cream blusher and then a powder over the top will keep you looking naturally flushed all day. You want your make-up to last all the way from the ceremony to the dance floor, so using products such as eye shadow primers are ideal for making sure the beautiful eye look that’s created doesn’t move an inch. Who doesn’t love a bit of highlighter? It’s a great way to add a healthy glow to your complexion, but whether you’re using liquid or powder avoid anything with visible chunks as these can sometimes look a bit odd on camera. And voila! Above is a photo of our lovely bride Sally, who looked naturally radiant all day.